8 cardinal and ordinal directions in a fun online geography learning game. 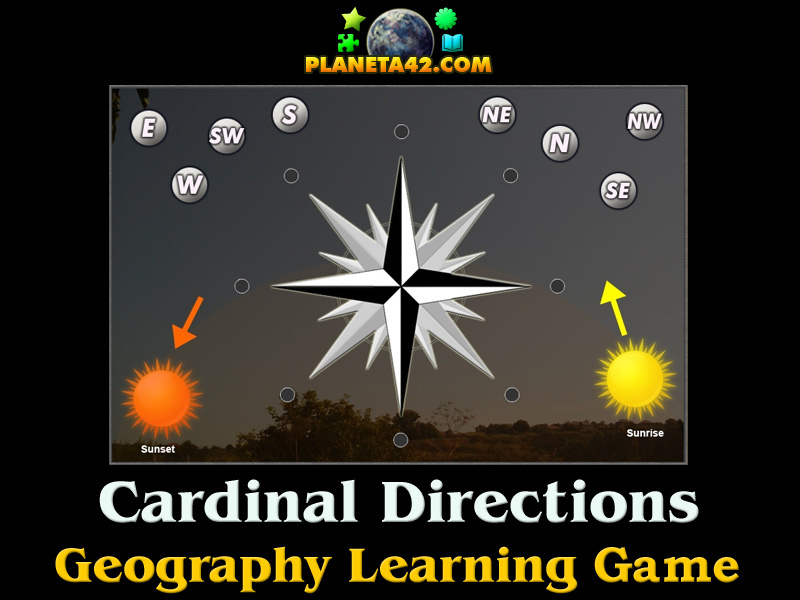 "Cardinal Direction Puzzle" is a free online knowledge level game to sort the cardinal and ordinal points of the compass. It include names and positions of 8 directions to play with. 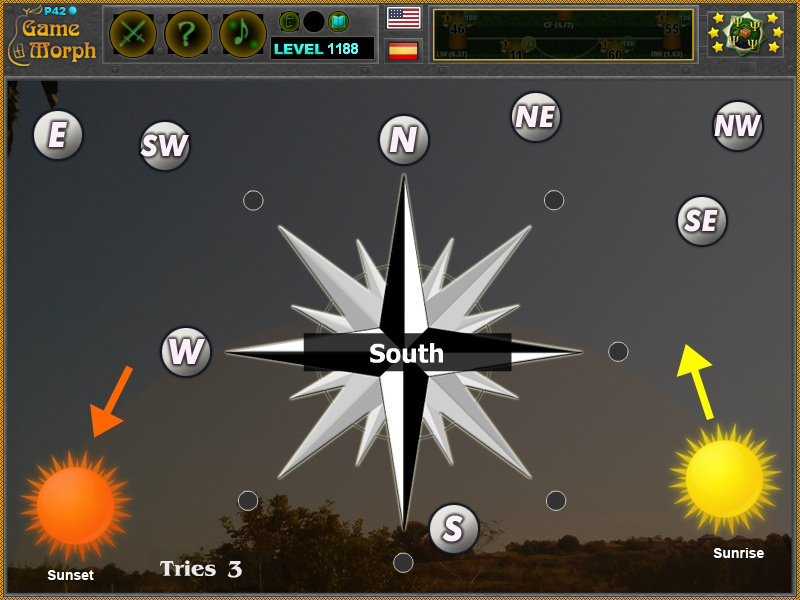 Free online game to explore and learn the geography directions. Geography puzzle game, suitable for online lessons and interactive classes. Minute to win it game. How to play Cardinal Direction Puzzle. There are 8 movable pieces of the cardinal and ordinal geography directions. Drag and drop them wher ethey should be positioned on the compass. Sort all 8 directions to win the game. Know and memorize the 4 main geography directions and get +1 Knowledge Level. The four cardinal directions or cardinal points are the directions north, east, south, and west, commonly denoted by their initials N, E, S, and W. East and west are at right angles to north and south, with east being in the clockwise direction of rotation from north and west being directly opposite east. Points between the cardinal directions form the points of the compass. The intermediate (intercardinal or ordinal) directions are northeast (NE), southeast (SE), southwest (SW), and northwest (NW). The intermediate direction of every set of intercardinal and cardinal direction is called a secondary-intercardinal direction. Which are the four cardinal directions? What is the direction that points to the top? Which are the 4 intermediate directions?